The BR-180 is a tone powerhouse with a beauty that is second to none. No expense was spared on this guitar as is evidenced by the authentic pre-war D-45 style specifications. Each guitar is crafted to be light and resonant. 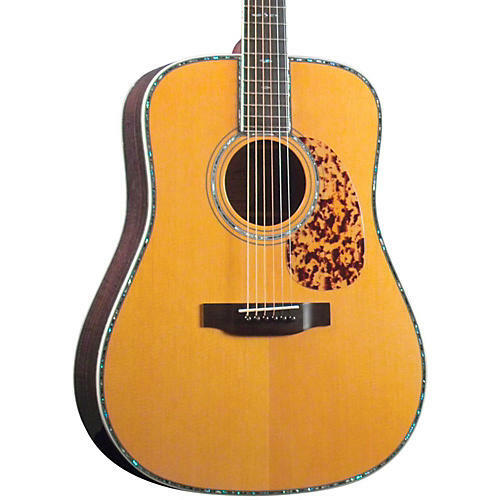 Meticulous attention to detail and quality craftsmanship is evident in the traditional, forward-position, hand-carved parabolic X-bracing that allows the solid spruce top to ring loud and true. Blueridge guitars feature a traditional dovetail neck joint, slim mahogany neck, adjustable truss rod, and butterbean-button, Kluson-style tuning machines with an updated mechanism for modern precision and feel.